I came across the Cover FX "Setting FX" on a trip to Sephora back in April but finally took the plunge and bought it about a month ago. I figured I could use a translucent setting powder since the one I have is colored -plus it was only 8 bucks! The Packaging: This is your average clear, plastic powder jar with a screw on top and sifter. 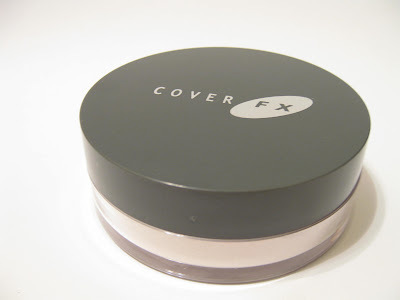 The lid is a dark grey with the "Cover FX" written in silver font. What I liked about it was that the jar was compact and wasn't super large like some other powder jars. 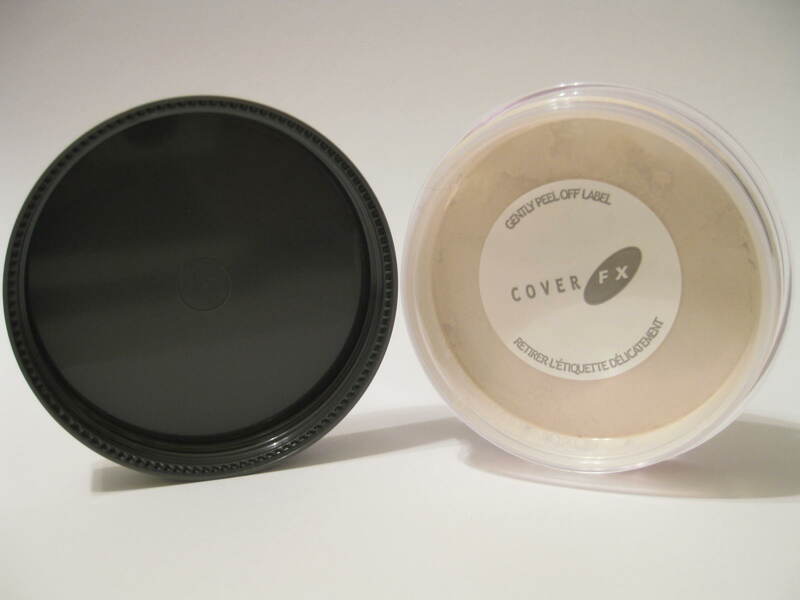 I've had lots of loose powders" come in jars that were 4 times too big for the amount of product that actually comes with them. This jar was flat and sweet and didn't contain a bunch of unneeded, empty air space. This really bothered me. 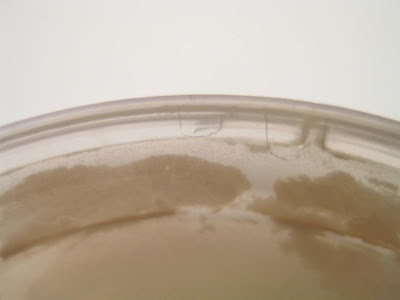 When I unwrapped the container and opened it up, there was a hair stuck in between where the sifter tray is container meet (squeeze between the sifter and side of the jar.) 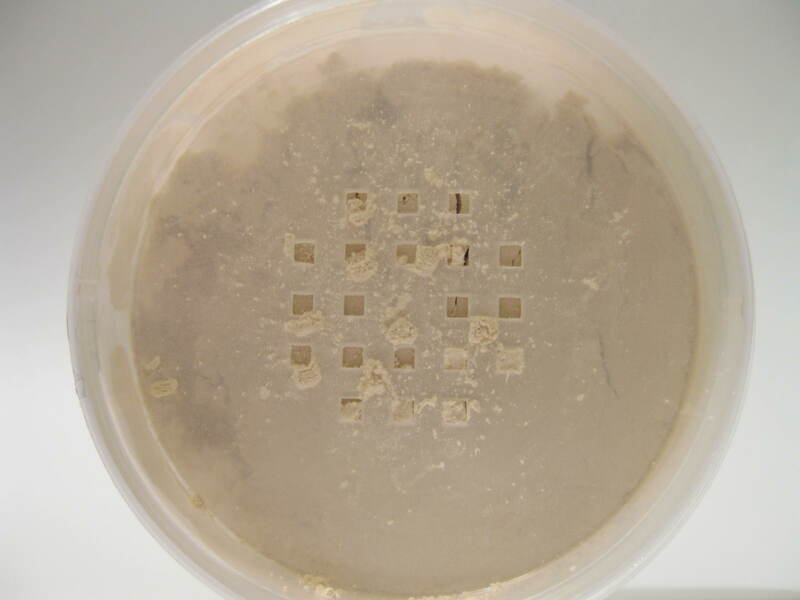 Gross! it definitely didn't look used but something happened while packaging was going on. Onto the product.. The powder felt smooth on my face and didn't cause any irritation. Also, after several times of using it, it did not cause my face to break out. I really liked that the powder didn't alter any of the products I was wearing on my face. I wore bronzer, highlighter, and blush (no foundation) and the powder only toned down the shimmer (from the other products) a little bit. My makeup looked great after I first applied it the powder. So what made me not like it? Setting powders are supposed to make your makeup last longer. My makeup usually stays on nearly all day without primer and my Evian Spray (to set my makeup.) With this, 4-5 hours later, my face makeup fades. Weird! Only my highlighter sort of stays –but that’s probably because I apply an illuminating cream first and then a highlighter on top. 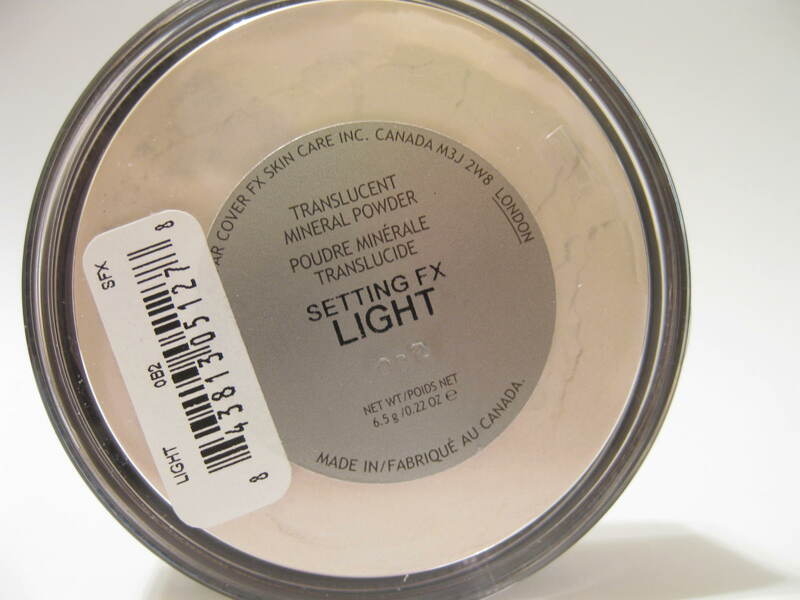 The Color: On my medium-tannish skin, this was totally translucent even though the shade is listed as being "light." I couldn't swatch it because the powder completely became invisible after I applied it -which is absolutely wonderful for a setting powder. Overall: Sadly, this didn’t work out for me. I really had high hopes because of the rave reviews on Sephora’s website -maybe it’ll work for others. It’s a shame because the powder is only 8 bucks –a real steal compared to other high end setting powders. I really loved the fact that the powder didn't irritate my skin but the real dealbreaker was that it didn't set my makeup all that well. Setting powders are supposed to help my makeup last, not make it fade away easier. This still gets an average rating though because it's at least felt comfortable on my face and didn't alter the colors of makeup I was wearing. I'd say give it a try since it's only 8 bucks but as a setting powder, it had the opposite effect on me personally. IMPORTANT! Please read me! =) On another note, I am currently in the process of updating my grading system. I know that sometimes the grades can seem really off –like the numbers will add up to one grade but the letter grade won’t reflect that. This is because I consider the “product” and “repurchaseabily” (In know that’s not really a word!) to be more important than “value” and “packaging” –which may seem confusing since all 3 categories are rated out of 10. So therefore, I am working out a grading system where “product” will be out of 40 or 30 and “value” and “packaging” grades will be out of 10 or a lesser number –but I don’t have it all figured out yet. Sorry if the grading of the current (and past) reviews confuses you. I did not want to stop product reviews altogether because of this so I will still be using the old, wonky way until the grading system is updated. When in doubt though, refer to the overall letter grade and “product” rating for the general idea of what I think about a product. Thanks! Thanks for the suggestions.. no I haven't tried it. I've actually been scared of MAC "face" products like powders and foundations since some of their things broke me out awhile ago. I might give it a try though!